The 2,000 residents of the Carteret Islands in Papua New Guinea are now some of the world's first climate change refuges, as rising sea levels driven by global warming have claimed their island homes. The residents of the low-lying South Pacific atolls have given up their 20-year losing fight against rising seas and will be resettled elsewhere in Papua New Guinea. The Carteret Islands are almost invisible on a map of the South Pacific, but the horseshoe scattering of atolls in eastern-most Papua New Guinea is on the front line of climate change, as rising sea levels and storm surges eat away at their existence. For 20 years, the 2,000 islanders living there have fought a losing battle against the ocean, building sea walls and trying to plant mangroves. Each year, the waves surge in higher, destroying vegetable gardens, washing away homes and contaminating fresh water supplies. Recently, Prime Minister Sir Michael Somare appropriated PGK4.1 million [US$1.4 million] to resettle PNG villagers affected by global warming. The funding was part of a PGK1.6 billion [US$569 million] supplementary budget handed down by Treasury and Finance Minister Patrick Pruaitch. Out of the PGK4.1 million funding, PGK2 million [US$712,000] will go to the Bougainville Autonomous Region’s Carteret Islanders. The local Bougainville government has an ongoing resettlement program which it hopes to complete by the end of the year. Rising sea levels will not only displace human populations. Coral reefs are expected to be affected by changes in ocean levels and sea surface temperatures. As a result, the communities that depend upon these marine resources will be affected as well. PNG’s Carteret islanders are destined to become some of the world’s first climate change refugees. Their islands are becoming uninhabitable, and may soon disappear below the waves. A decision has been made to move the islanders to the larger nearby Bougainville Island, a four-hour boat ride to the southwest. Ten families at a time will be moved once funds are released for the resettlement program. An IPCC has predicted that average sea levels are likely to rise between 9cm and 88cm (3.5 to 35 inches) by 2100. Generation Anything-But-Quiet: Just Wait for the Noise at Power Shift 2007! The Youth Climate Movement is poised to explode off of campuses and into our nation’s capitol for PowerShift 2007, November 2nd-5th. Well, in two weeks, Mr. Friedman – and the rest of the nation – will hear what this young generation really sounds like, and it will be anything but quiet! More than 3,300 young people will explode off of their campuses and away from the internet, descending – in person and in droves – on the nation’s capitol for Power Shift 2007, the first-ever national youth summit on global warming, November 2nd-5th. Power Shift will bring together thousands of students and youth from all 50 states to wrestle with our generation’s greatest challenge and our greatest opportunity: The climate crisis. At the conference, attendees will learn new skills, share ideas, connect with fellow activists and ultimately use their collective experience, enthusiasm and commitment to forge a powerful movement to end the climate crisis and make their innovative and inspiring new vision of a sustainable, just, and prosperous future a reality. The conference will be held November 2nd-5th in College Park, Maryland, just outside of Washington D.C. Power Shift’s agenda includes: keynote addresses from seasoned and inspiring activists, politicians, and leaders; up-to-the-minute issue briefings from the nation’s leading scientists and policy experts; expert-led training sessions on crucial movement-building skills including organizing, advocacy, and media relations; an “opportunities fair” featuring some of the country’s leading environmental employers; a lobby day on Capitol Hill; and plenty of opportunities for young activists to network and strengthen the bonds of a nationwide youth movement (see www.PowerShift07.org). On Saturday, November 3rd, the activities of the thousands of young people attending Power Shift will join with and be amplified by the hundreds of actions taking place in communities across the nation as part of the second nationwide Step It Up day of action (www.StepItUp07.org). April 14th, the first Step It Up day of action, saw over 1,400 events across the country involving hundreds of thousands of community-members, activists, and yes, youth, all calling for steep cuts in carbon emissions: at least 80% by 2050. The weekend of Power Shift, Step It Up activists will be at it again, and this time they’ll be asking who our nation’s real leaders are as they challenge politicians again to Step It Up! The attendees at Power Shift will join with the Step It Up organizers on Saturday night for the joint keynote events of both Power Shift and Step It Up. Many thousands more young people who aren’t going to make the trip to Power Shift will be back home organizing, recruiting for, and attending Step it Up events in their communities. Wherever there’s a successful Step It Up event, you can bet that there’s the fire, passion, and innovative ideas of a member of “Generation Anything-But-Quiet” somewhere behind it. And as if there won’t be enough packed into a weekend of organizing, training and action, on Monday, November 5th, more than a thousand youth and students will converge on Capitol Hill to flex their collective political muscle and do exactly what Mr. Friedman seems to think today’s young people are too timid to do – something most citizens are too timid to do – sit face-to-face with their representatives and senators, and speak the truth to power, demanding committed action to end the climate crisis. Monday’s giant lobby day will begin with a morning rally on Capitol Hill’s West Lawn featuring members of the House and Senate leadership and leaders in the youth climate movement as speakers before teams of young citizens head for scheduled lobbying meetings with House and Senate members from all 50 states. The House Select Committee on Energy Independence and Global Warming has also scheduled a hearing Monday afternoon where young people directly affected by climate change will speak out on the issue. Youth witnesses representing the Arctic north, Appalachia, the Lower Ninth Ward of New Orleans, and other locations will testify on the urgency of the crisis and the importance of bold action. and transforming our energy priorities from dirty, depleting, and often-imported fossil fuels to clean, renewable, and local energy sources, beginning with a moratorium on all new coal plants until they can safely dispose of their pollution. Lobby day attendees will also demand that Congress pass a strong energy bill this fall as a down payment on the serious cuts in carbon emissions we urgently need. A bill that includes the best elements of the energy packages passed earlier this year by the House and Senate (including strong fuel economy standards, a national renewable electricity standard, and the reinvestment of federal subsidies from fossil fuels into renewable energy and energy efficiency) will be a critical first step towards the sustainable, just, and prosperous future today’s young climate activists are committed to making a reality. After the Power Shift conference and lobby day, students and youth will return to their campuses and communities. They’ll probably be temporarily exhausted from all the action, but at the same time, they’ll be energized, empowered, and equipped to strengthen their nationwide movement and push for bold solutions on their campuses, in their communities, and in their state and national capitols. How’s that for quiet, Mr. Freidman? According to the New York Times, oil futures rose to a new record of over $90 per barrel before falling somewhat today. Prices began to retreat today as investors sold to lock into profits, but prices are expected to continue to push upwards into new territory in the days ahead, inching ever closer to $100 per barrel as speculators continue to drive the market. 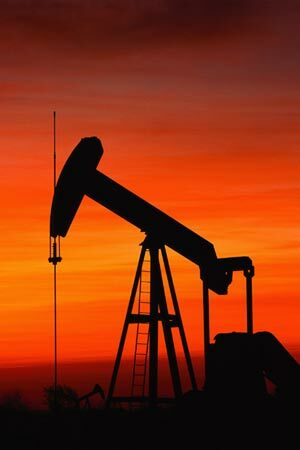 The Times reports that crude oil futures briefly passed $90 a barrel - rising as high as $90.07 - twice in electronic trading overnight, despite a growing consensus among analysts that the oil's underlying supply and demand fundamentals do not support such high prices. "This market has been hijacked by speculators," wrote Stephen Schork, a trader and analyst in Villanova, Pa., in a research note. Crude prices have jumped 28 percent since late August. The advance appears to be trickling down to consumers in the form of higher gas prices, and may result in higher heating prices this winter. Prices at the pump have risen 5.3 cents over the past four days, averaging $2.81 a gallon on Friday, according to AAA and the Oil Price Information Service. Meanwhile, heating oil costs are expected to jump more than 20 percent this winter. After last night's run-up in price, light, sweet crude for November delivery fell 87 cents to settle at $88.60 on the New York Mercantile Exchange, the Times reports. Overall, oil futures rose $4.91 this week, or 6 percent in a single week. Oil prices have risen from around $25 per barrel since 2002 to well over $80 per barrel in the past five years. Despite venturing into record territory this year in nominal terms, the price of oil is still below inflation-adjusted highs hit in early 1980. Depending on the adjustment, a $38 barrel of oil in 1980 would be worth $96 to $101 or more today, the Times reports. 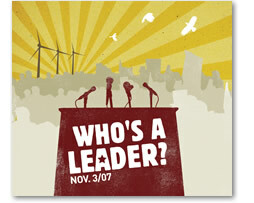 Check out this recent op-ed in the L.A. Times by Bill McKibben on the internet, politics, and Step It Up 2007. The weekend of Power Shift 07, we're using the internet to get politicians back into communities around the country and asking for their plan to stop global warming - what other ways can our movement use the internet beyond the spread-the-word / fund-raise / information-sharing that we are doing now? The Internet is a maturing technology now. It's reached the point where we're figuring out how to do things that don't involve gambling, shopping or looking at the scantily clad. Politics, for instance. Politics in whole new ways that might change the balance of power between politician and citizen. The 2004 election cycle saw one breakthrough. Especially on the left, candidates figured out how to raise money over the Web. Howard Dean was the pioneer. This time around, it's Barack Obama, who says he has amassed 300,000 contributors -- one American in 1,000 has given cash to his campaign, which is pretty remarkable. For 2008, though, activists are trying to turn the Internet into something more than an ATM. We're trying to take the candidates out of their game plans and make them answer to our concerns, right now, before the votes are cast and while there's still some leverage. We're trying to use electrons to pin them down. Those of us working on global warming, for instance, are focusing efforts this fall on Stepitup07.org. Last spring, we used this website to coordinate 1,400 simultaneous rallies in all 50 states calling for deep cuts in U.S. carbon emissions. On Nov. 3, we're staging another series of gatherings across the country, this time aimed squarely at politicians, trying to see if there are some Al-Gores-in-waiting out there, ready to actually lead on this issue. Using a new "widget" -- a small, easy-to-share Web tool -- we're able to let people issue invitations to their politicians of choice to speak at these rallies. Since this project debuted early this month, more than 3,000 people have taken us up on it, inviting almost every member of Congress and all the presidential candidates. And some of those politicians are promising that they'll show up. This is new. In days of yore, if you were concerned about, say, global warming, you might write a letter to your congressman. You might research the presidential candidates to figure out which one was most aggressive about climate change, and then you might mail him a check. But the chance to work together with people around the country on a common cause was mostly reserved for "organizations" -- for environmental groups, say, with big buildings in Washington, calendars and boards of directors. In the Internet Age, though, new models emerge. When we ran those rallies last spring, we had help from the Sierra Club, the Natural Resources Defense Council and many others -- but we also had hundreds upon hundreds of organizers who had never done anything like it before. In the course of six to eight weeks, they were able to parlay their e-mail lists of friends, family and contacts into geometrically expanding circles of potential protesters. For $100,000, we ran one of the largest days of environmental protest since the first Earth Day in 1970 -- and did it in the districts of members of Congress, not on the Mall in Washington. Now, with our new "invite tool," you can sit at your computer and in 10 minutes ask every one of your political leaders for an RSVP. It feels as though we're starting to make them respond to our agenda, not the other way around. We're finding, in other words, that a certain kind of organizing no longer requires years of groundwork. It requires a good idea and a well-written e-mail. MoveOn.org has been working this terrain for years; now groups like ours are trying to figure out how to mix real-world and virtual politics, how to work the system as nimbly and with as much savvy as the K Street lobbyists. We can't come up with $1,000 for a plate of dinner, but we can muster 1,000 people in 1,000 different places to demand action. In certain ways, it's a lousy time to be coming of age -- those satellite photos last month of the rapidly melting Arctic ice cap foreshadowed a century that will be spent trying to deal with the greatest threat to stability that human civilization has ever encountered. But the moment has also given us a new set of tools for connection. The fight against global warming requires all kinds of technology -- solar panels and windmills, but also servers and routers. 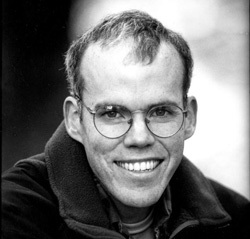 Bill McKibben, a scholar in residence at Middlebury College, is co-founder of Stepitup07.org and coauthor of the just-published "Fight Global Warming Now." New Zealand electricity producers face a 10-year moratorium on all new gas- or coal-fired power plants to help the country reduce greenhouse gas emissions. The nation's Prime Minister also commits to 90% renewable electricity by 2025. Electricity producers in New Zealand are now barred from constructing any new fossil fuel power plants for the next ten years, according to Bloomberg.com. New Zealand already produces about 70 percent of its power from non-polluting and renewable energy sources, including wind, hydro-electric and geothermal generators. New Zealand's Prime Minister, Helen Clarke, recently announced intention to commit to 90% renewable electricity by 2025 and the government is blocking construction of new gas-fired power plants to speed investment in wind and geothermal energy. Eventually, the Prime Minister (pictured below) would like to see the country carbon-neutral. “I have set out the challenge to our nation to become the first truly sustainable nation on earth … to dare to aspire to be carbon neutral," Prime Minister Clarke said. The Prime Minister also gave a brief outline of further goals, which included a 2040 target of reducing by half per capita emissions from transport and widely introducing electric vehicles. She also stated the goal of achieving a net increase in forest area of 250,000 hectares (617,000 acres) by 2020. “The long-term benefits of becoming a sustainable nation will spread beyond our national reputation and success in business to benefit all New Zealanders,” Prime Minister Clarke added. Both announcements come as the government releases the New Zealand Energy Strategy, the New Zealand Energy Efficiency and Conservation Strategy and the Transport Strategy Implementation Plan. Well there's an example of how you set your priorities if you are truly committed to the sustainable, just, and prosperous energy future we should all be striving for. Complete carbon neutrality is the ultimate objective for developed nations, and New Zealand seems committed to showing us the way. Bravo! I have spent the last two days talking to and listening to Ted Nordhaus and Michael Shellenberger, of Death of Environmentalism Fame/Infamy, and the question they always are asked is, what is your positive vision for the future? Well, I will be doing a full review of the book soon, but the question is being asked of the wrong people. Tom Friedman got it seriously wrong, as well. The activists engaged in the Youth Climate Movement are the most innovative, creative, and brilliant creators of a green future and are both inspired by and engaging with the "bright green" thinkers that are launching a community thinking experiment online. If you have never gone to WorldChanging, go there. Now. Then come back. Friedman wants us to hit the streets, Gore wants us to encircle bulldozers. Sure, done that. Will, do more. But they value us for our passion, our bodies, our commitment. But they don't value us for our ideas, our minds. That just makes us feel like exploited dates. The diversity of solutions launched by the Campus Climate Challenge, by our efforts to challenge the rest of society to act by building carbon neutral campuses and a clean energy economy, is awe inspiring. We have designed better bio-reactors for biodiesel from waste, clean energy investment funds, green building innovations by the score, alternative transportation systems, dense campus-community development plans, erected utility scale wind turbines, researched best practices for every major system the microcosm of a campus uses, launched fair trade companies...trust me, I can go on. The Solar Decathlon on the mall right now represents pioneering developments in sustainable housing by student teams, the EPA's national design for sustainability competition is, you guessed it, for student teams. We are designing a brilliant future, today. There are some smart initiatives to get our ideas valued, check out the Roosevelt Institution and submit your brilliant policy ideas, like these. But policy is just part of it. We can communicate our ideas to each other, here, or elsewhere online. I promise I will fight for the resources to we can do just that and I know others will join me. So come to Power Shift 2007, and bring your thinking caps as much as your boots, cause we got work to do! A word of caution, Big NGOs, talking heads, and others will want us to protest, to act, to support their ideas. But policies like Cap and Auction or even a Big Federal Investment in Clean Energy RnD, while they have tremendous value, leave the job of innovation, launching the projects, ideas, businesses, and community efforts, to others. They want to light the spark of creative imagination, but they don't always value those who have already lit it and and are showing it to the world. Hold your head up high, whether you take an internship or a job where you aren't valued because you are young, learn as much as you can but remember you can build a brilliant future, with the power of your ideas. The supposedly "green" automaker, Toyota, is fighting tougher fuel economy legislation that would save American consumers billions of dollars and put a major dent in the United States' oil addiction. Some of you may have missed the buzz kicked up recently by a nationwide campaign to put the heat on Toyota for lobbying against tougher fuel economy standards. The campaign, coordinated by NRDC , the National Environmental Trust, the Union of Concerned Scientists and others is focused on calling out the fact that Toyota, maker of the 46-mpg hybrid Prius, is joining with the Big Three Detroit automakers to lobby hard against a proposed increase in fuel economy standards to 35 miles per gallon (MPG) by 2020. The Senate passed an energy bill including a 35 mpg by 2020 standard and the House is currently considering similar legislation (in the form of the Markey-Platts bill). Toyota, who often touts their fuel-efficient hybrid Pruis, Camry and Highlander models and markets itself as a "green" car company, is lobbying hard against the 35 mpg by 2020 standard and supporting the significantly more industry-friendly Hill-Terry bill (HR 2927) as part of the Alliance of Automobile Manufacturers (which also includes General Motors, Ford and Chrysler). 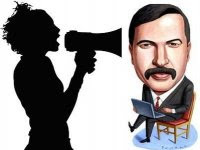 New York Times columnist Thomas Friedman helped spread the word about Toyota and Detroit's shenanigans in a column last week and media and grassroots events across the country continue to put pressure on Toyota for fighting increased fuel economy standards. Representative Edward Markey, chair of the House Select Committee on Energy Independence and Global Warming and sponsor of the House 35x2020 proposal has personally challenged Toyota's claims that meeting the 35 mpg by 2020 fuel economy standards in the Senate Energy Bill would be "impossible." Toyota, intent on keeping its image as a “green” company, has responded to calls of fuel economy obstructionism by telling their customers that higher fuel economy standards being considered in an energy bill before Congress are “impossible.” Yet a thorough analysis of international fuel economy standards clearly shows that Toyota is already meeting—and exceeding—the 35 mile per gallon standard in the energy bill. In Japan. Toyota claims that Japan does not have mandatory fleet standards comparable to the United States. This is not true. In Japan, the government first imposed weight-based fuel economy standards in 1999 and revised them in 2006 “because the majority of vehicles sold in Japan in 2002 already met or exceeded the 2010 standards,” according to a July 2007 report by the International Council on Clean Transportation (ICCT). The same report says Japan’s fuel economy is currently at 41 mpg, and will have a fleetwide fuel economy of about 47 mpg in 2015 – 5 years before the 35 mile per gallon energy bill requirement is due to be met in the United States. A chart from the report on fuel economy levels around the world is included below (click to enlarge). The graphic also reveals the lie in GM, Ford and Chrysler's assertions that building vehicle efficient enough to meet the 35 mpg standard is impossible. All three companies already sell thousands of vehicles every year in Canada, Australia and China where fuel economy standards far exceed those in the U.S. and all three operate in Europe where standards are already higher than the 35 mpg standard the automakers are fighting so hard. So why are Toyota and Detroit fighting so hard against standards that will require them to achieve average fuel economy levels 13 years from now that they are already achieving today in Europe and Japan and will and will need to meet in just a few years in China, Australia and Canada? Why do these automakers insist on blocking the biggest step towards energy independence and increased energy security Congress has taken in decades? If you want to tell Toyota it's time to do as their slogan says, and truly get "moving forward," head over to the NRDC's site here. And click here to tell your representatives that you want to see the strongest elements of both the House and Senate energy packages make it into the final energy bill and onto the President's desk! This morning, New York Times columnist Thomas Friedman, who's been consistently and vehemently writing about the need for a clean energy revolution for the past several years, just threw down the gauntlet, and he's calling out members of my young generation! In this morning's article, he called us "'Generation Q' - the Quiet Americans" and accused us of being "too quiet, too online for our own good, and for the country's own good," saying we're "so much less radical and politically engaged than they need to be." Well, Mr. Freidman is right about one thing: Facebook "causes" and email petitions just won't cut it! But he's wrong if he thinks young people aren't organizing and building a movement that will do exactly what he challenges us to do: stand face to face to power and demand our chance to build a sustainable, just and prosperous future! On November 3rd, hundreds of thousands of young people will join community members in actions across the nation as part of Step it Up! 2, a national day of action demanding our leaders Step it UP! and take action on climate change. 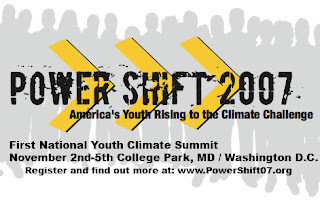 November 2nd-5th, more than 2,500 students and young activists will join together at the first national youth climate change conference, PowerShift 2007, in College Park, Maryland. And on January 31st, 2008, we’ll use our campuses to host nationwide, simultaneous education symposium on the climate crisis and demand attention from our elected officials as part of Focus the Nation. In addition to these national actions, dozens of local and regional groups have formed, driven by the energy, optimism and determination of students and young activists. 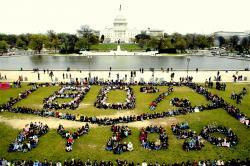 Check out the voice of the youth climate movement at www.ItsGettingHotInHere.org. Mr. Friedman better listen up, because he’ll soon find that young Americans are anything but quiet when it comes to securing our future! Chris Mooney has a post at DeSmog Blog entitled: "Nordhaus and Shellenberger: Overselling the Right Message" that's worth checking out. David Roberts has an excellent reply to Nordhaus and Shellenberger at GristMill in which he makes the excellent observation that N&S have both too much and too little faith in the power of markets. Wired Magazine has a good interview with Michael Shellenberger and Ted Nordhaus, authors of "The Death of Environmentalism" and the new book Break Through. The two have been kicking up a bit of controversy with their unflinching critique of the traditional environmental movement and their vision of a new "post-environmentalism" (see previous post). The interview gets into the two authors' experiences with the environmental movement and their motivations for writing their provocative essay and book. For angry heretics on the run, Ted Nordhaus and Michael Shellenberger sure know how to enjoy themselves. Sitting in a cozy Berkeley restaurant just a few blocks from San Francisco Bay, exchanging tasting notes on the vermentino ("cold white wine is so good with fatty, fried food," Shellenberger says), they recount with perverse pleasure, in tones almost as dry as the wine, how they've been branded as infidels by fellow environmentalists. It started in 2004, when they published their first Tom Paine-style essay accusing the movement's leaders of failing to deal effectively with the global warming crisis. "We thought that someone was going to take a swing at us," Shellenberger says. Robert F. Kennedy Jr. and Sierra Club executive director Carl Pope published withering counterattacks, and the two men were dubbed "the bad boys of American environmentalism" by author Bill McKibben.